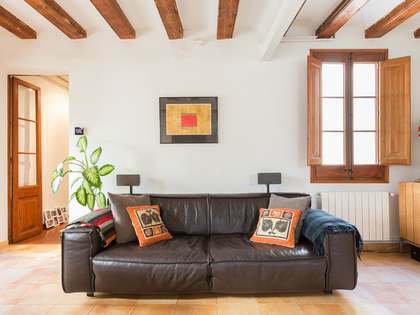 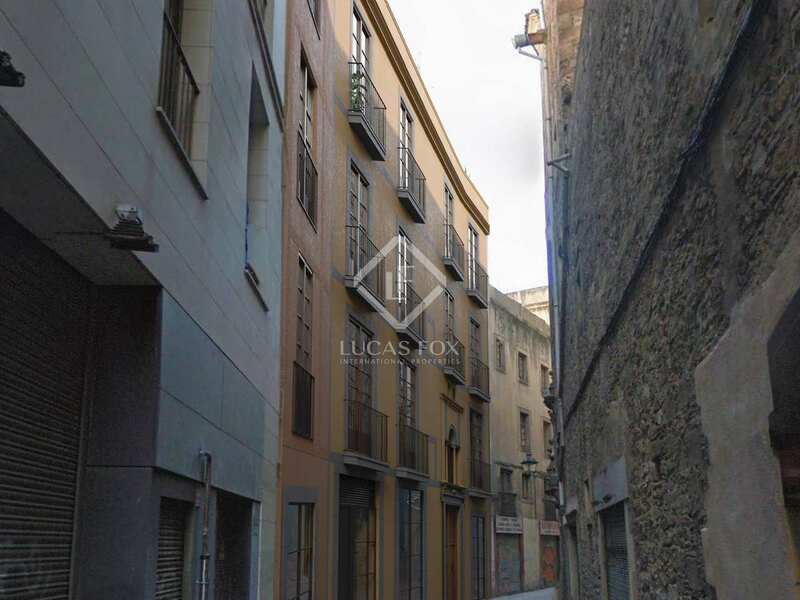 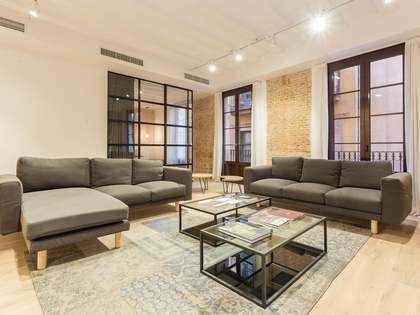 Beautiful penthouse apartment for sale in a fully renovated 15th century building in Barcelona's Gothic quarter. 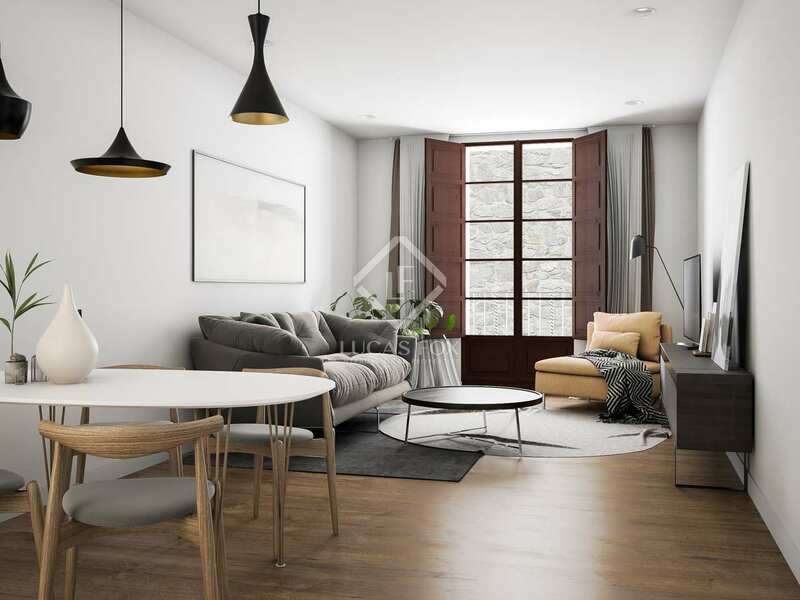 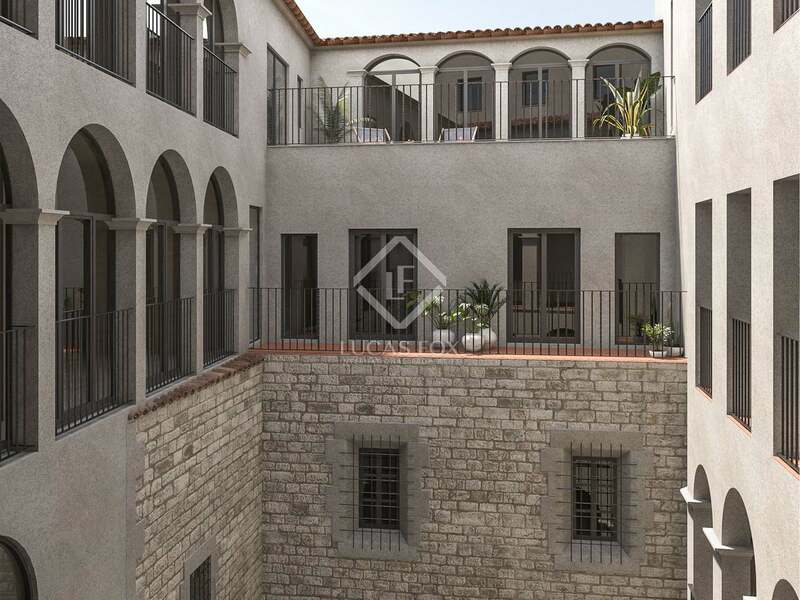 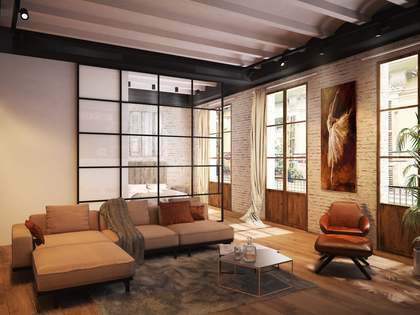 The new development La Palla Apartments is located in a very special building dating back to 1412, near Barcelona's cathedral and the church of Sant Felip Neri. 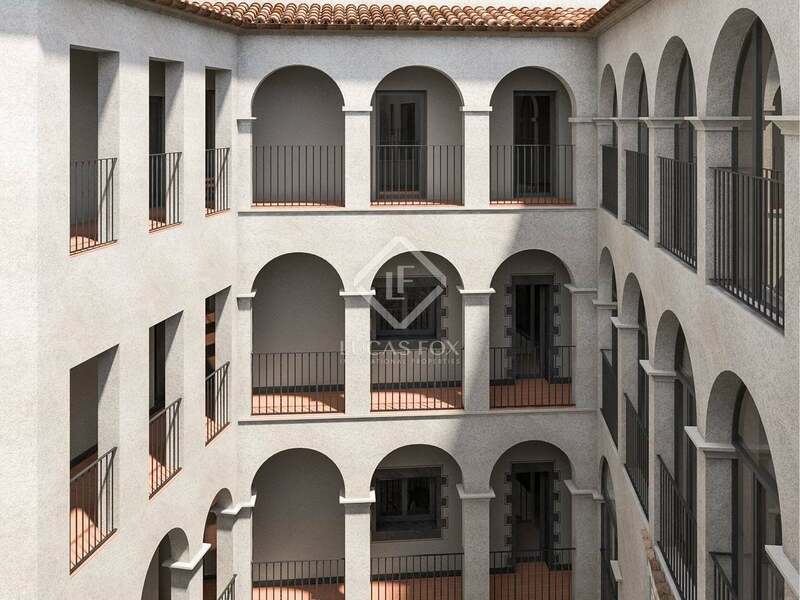 The building has maintained its listed façade and inside it houses a cloister with arches and a small chapel. 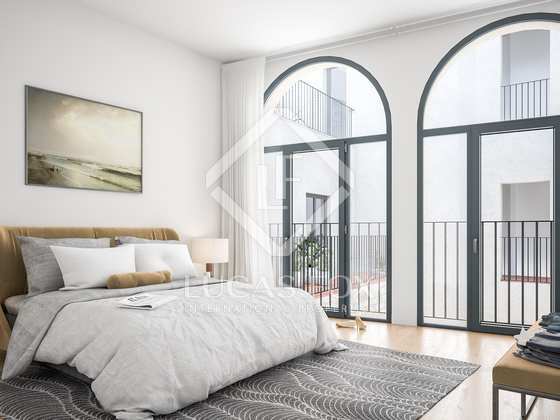 Having undergone full renovation, the building now offers this stunning penthouse apartment measuring 107m². On entering the apartment a hallway leads to the spacious living-dining area with fully equipped open kitchen. 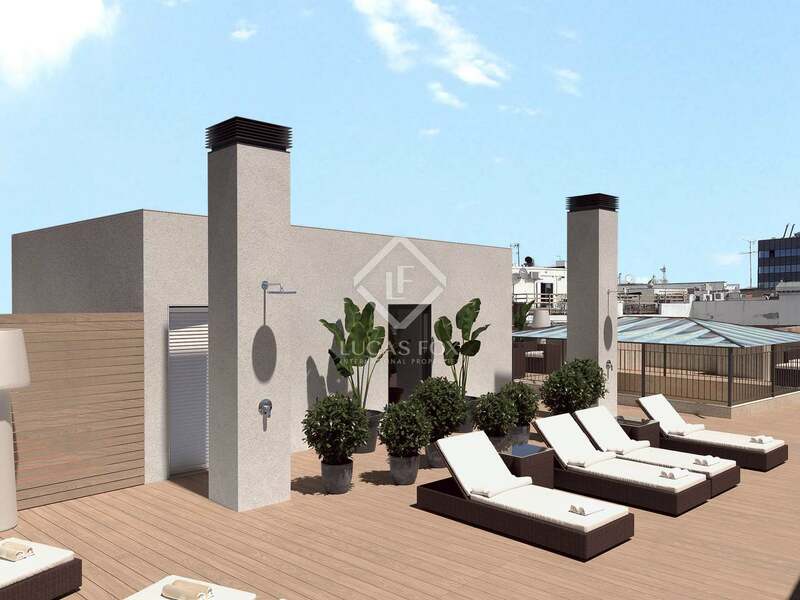 This space opens onto a private terrace, perfect for taking advantage of the excellent climate. 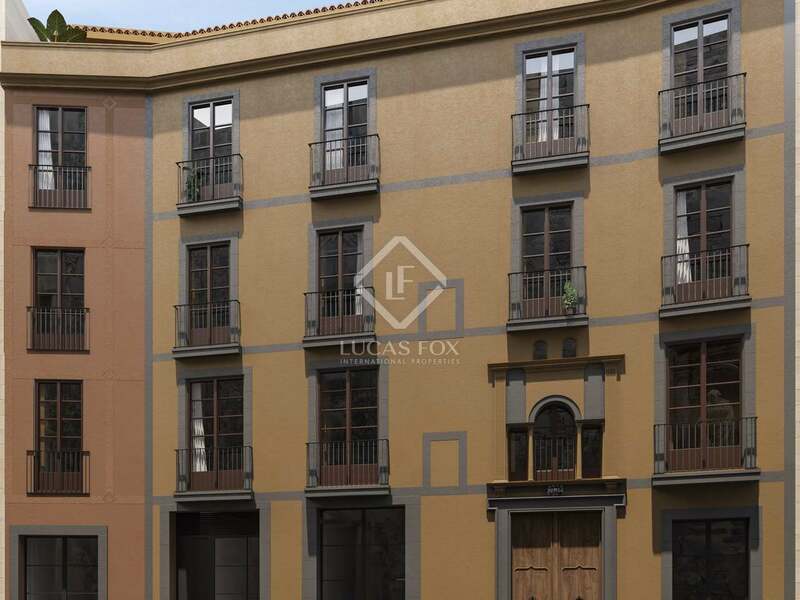 The penthouse has 2 double bedrooms and 2 well equipped bathrooms. 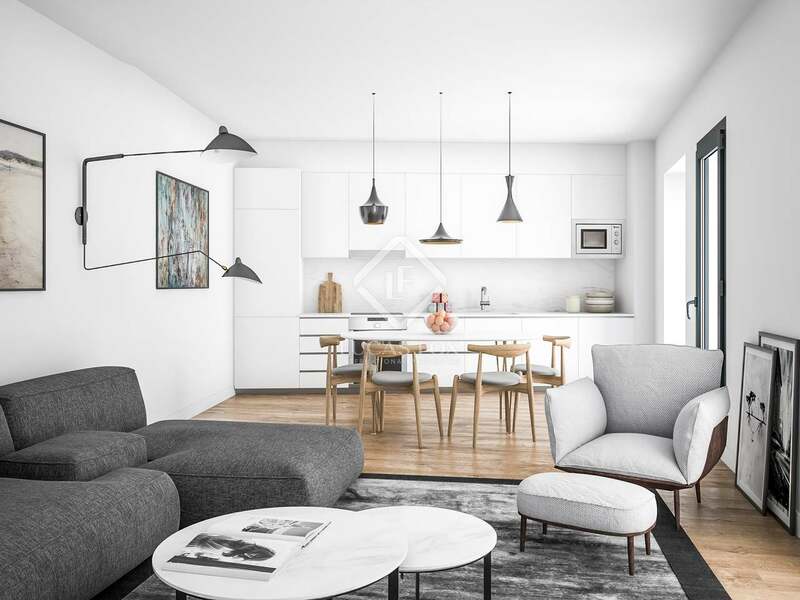 Modern design has been combined with recovered original features to create a stylish, welcoming apartment with abundant natural light. 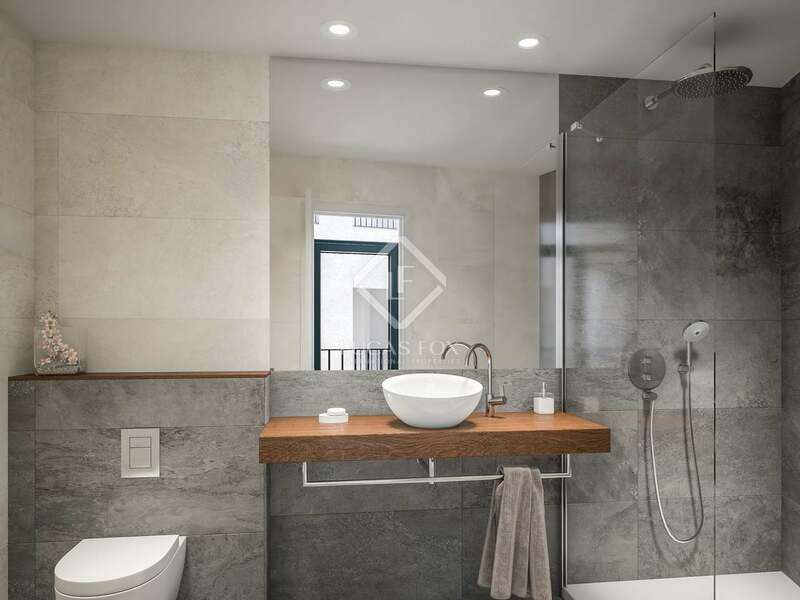 Quality finishes and materials include Porcelanosa flooring with underfloor heating, a Mitsubishi air conditioning system and ceramic brick walls with thermoacoustic insulation. 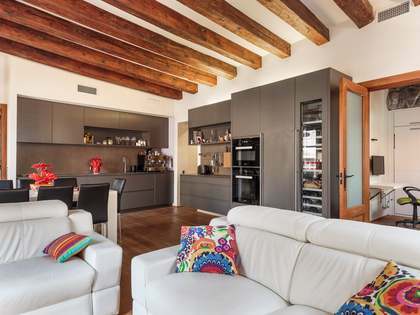 The homes also have LED lighting and the kitchens are equipped with all appliances. An unbeatable opportunity to acquire a brand new home in the very heart of Barcelona.